High performance MonnexTM dry chemical powder is based on potassium allophanate, a potassium bicarbonate – urea complex originally developed by ICI in the UK. Multiple grind options are available to customer requirements. As with all BCE powders, MonnexTM interferes with the chemical reactions occurring in the combustion zone, but Monnex has a special ability that puts it in a class of its own. High temperatures in the combustion zone cause MonnexTM powder to explode or decrepitate, breaking down the powder into minute particles within the fire. This dramatically increases its surface area for rapid quenching of the free radicals that perpetuate the chain reaction of the fire. Unrivalled speed of control and fire extinction is therefore achieved. The distance between the operator and the seat of the fire is key to fighting a fire safely. Every grain of MonnexTM is sized to ensure maximum projection as the content is ejected from the vessel. Too small, and the grains will blow in the wind or stay inside the body, too large and they will not perform to their optimum. Each grain starts to collect the free-radicals which are created as the fire burns. The more of these particles a grain collects the hotter it gets, and this is the point at which Monnex’s real power comes alive. 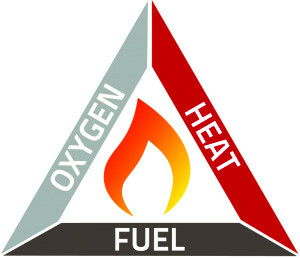 When a grain of MonnexTM reaches a critical temperature within the fire environment it undergoes a unique process called decrepitation. This process is similar to a mini explosion where the grain of MonnexTM cracks and breaks up into hundreds of smaller particles, thereby increasing the surface area of MonnexTM almost exponentially. The collection of freeradicals starts again. This is what makes MonnexTM the perfect powder. MonnexTM will perform each time irrespective of the application skills of the operator. Watch Monnex against a standard BC powder below.